WhatsApp the world’s most popular messaging platform, now comes to desktop via web client. This web client as of now currently works on Chrome browser. This functionality currently works on the updated version of Whatsapp on Android, Windows Phone and Blackberry/BB10. Unfortunately for now IOS is not getting the feature (web client) due to “Apple platform limitations”. To connect your web browser to your WhatsApp client, simply open web.whatsapp.com in your Google Chrome browser. 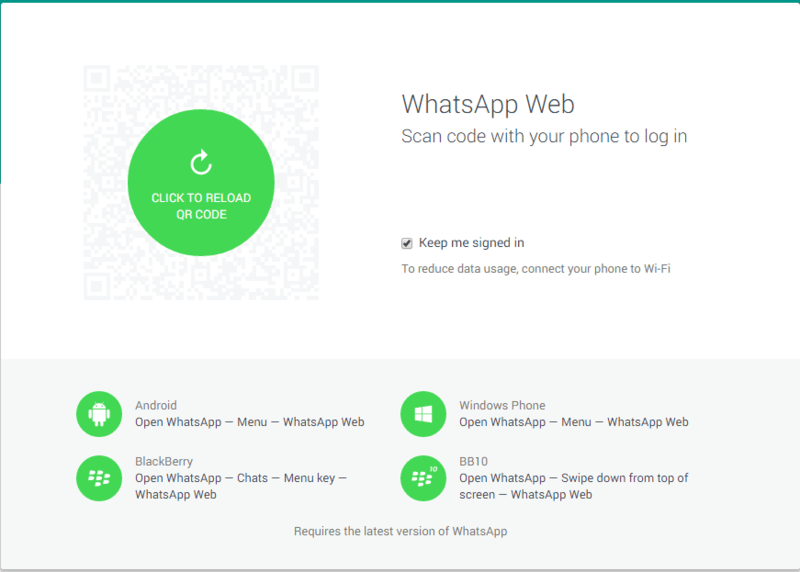 You will see a QR code — scan the code inside of WhatsApp, and you’re ready to go. This completes pairing between WhatsApp on phone and WhatsApp web client. Your phone needs to stay connected to the internet for the web client to work. Dear readers, do you think now your conversations will take a leap with this added comfort? Do let us know via comments. What’s up…? Stupidity has no limit.